Here is our full review of Promera Sports Con-Cret creatine hydrochloride. The brand Promera is most notably known for their creatine hydrochloride known as con-cret. So, when we wanted to do an official review of creatine HCL, we knew that Promera was the brand to pick. The following is our experience with con-cret. CON-CRET Creatine HCL Quick Review: Supplementing with Creatine HCL is much more simplistic than supplementing with creatine monohydrate and other forms. Basically, it dissolves into water easier, and uptakes into the body easier. Likewise, without the monohydrate component there is less water-weight involved. However, that water-weight also stimulates muscle growth, so it’s a double-edged sword. 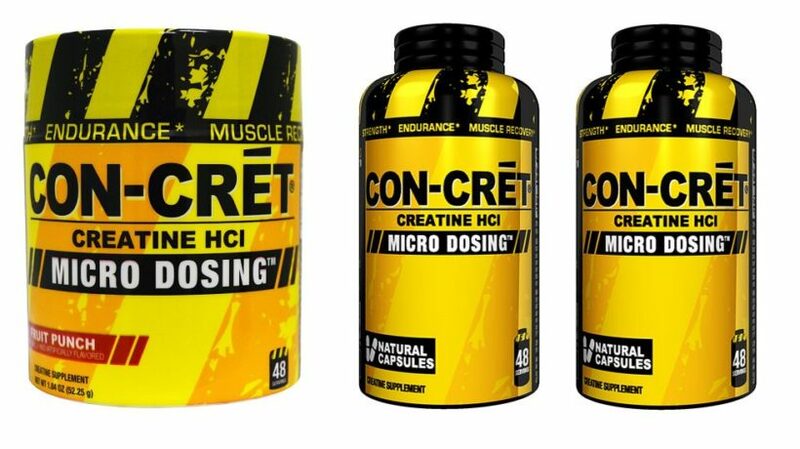 Overall con-cret creatine HCL is beastly for increasing strength while avoiding side effects if you have a sensitive stomach or can’t time it well. Quick Strengths: You can take Creatine HCL at virtually any time, little water weight, dissolves instantly. Quick Weaknesses: Personally don’t believe it is as anabolic as creatine monohydrate, and about 80% as effective a monohydrate. How to take Creatine HCL: You can take con-cret creatine HCL at virtually any time. It’s perfect for those who want to take it before exercise. For a serious gains-plan, take it before workout, and then creatine monohydrate after workout! Based on the teams personal testing, we’ve concluded that creatine monohydrate is overall a more effective strength and muscle builder. However, creatine HCL like con-cret is much easier to take, and doesn’t cause bloating or stomach irritation. Unless you are taking legitimate dosages of MagnaPower (and avoiding the laxative effect of magnesium). Creatine HCL is more effective. However, Magnapower does have its place in the realm of supplementation as it delivers magnesium, which is more times than not a deficiency for athletes. Creatine HCL and Free-Acid Creatine are the most similar. From my understanding, in water, creatine HCL becomes creatine and hydrochloric acid. So, where Creatine HCL delivers creatine in an acid environment, creatine free-acid delivers straight creatine at its natural PH level. When comparing the two in supplemental form, I do believe Creatine HCL to be the superior choice. Mainly because of dosing. Creatine HCL packs the superior dosage compared to free-acid where brands tout it as being so special, that they over-charge for tiny dosages. Similar to all the false hype around Bang Pre Workout’s “Super Creatine” which is pathetically dosed. Creatine HCL Dosing: How Much Should You Take? Creatine HCL and Promera Con-Cret dosages are very interesting. 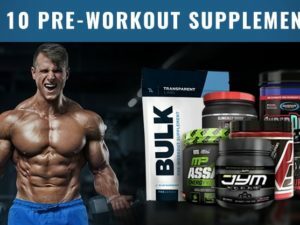 I’ve found that recommendations average around 1.5 to 3 grams of creatine hcl per day, while creatine hcl supplements label there products with serving sizes anywhere from 250 to 750 milligrams. If you are under 150 pounds, take a 1 gram dosage of creatine HCL per day. If you are over 150 pounds, then take a 2 gram dosage of creatine HCL per day. Obviously, you can adjust this if you feel its not quite working out. This is a general recommendation and honestly I take about 3 grams at a time when my consistency isn’t the best (skipping days). I weigh 185 pounds. In a do-or-die situation, the best way to implement Creatine HCL would be before exercise, and then top off with creatine HCL afterwards with your recovery meal. This one-two punch will have your creatine levels at all time highs, leading to serious strength gains and muscle growth. For the most part, all creatine HCL supplements are created equally. We’ve taken many, including Muscletech Creactor which you can see here. This is still a patent protected ingredient, so its all sourced from the same place (correct me if I’m wrong). Creatine HCL is a pretty easy take-away – its not bad at all. Then Creatine HCL is a good fit. Its not exactly as effective, but you are still going to make noticeable strength gains. For a further breakdown of the differences between Creatine HCL and Creatine Monohydate, view this article. 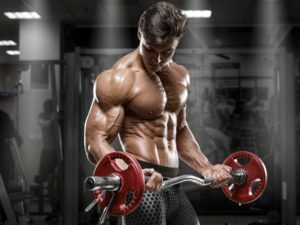 As well, you can see how creatine benefits fat loss, muscle growth, and general health here in the different types of people that should take creatine. Thanks for reading, and lets connect down in the comments section below!